**UKs Greenest Trader Award from National Market Traders Federation! We are very proud to have recieved this national award by NMTF, as we are aware of steep competition all over the UK. The award ceremony was reported in local and national media. We cater at events, markets, festivals, parties, ceremonies, weddings and more! We also sell coffee on the street in Totnes, Devon. 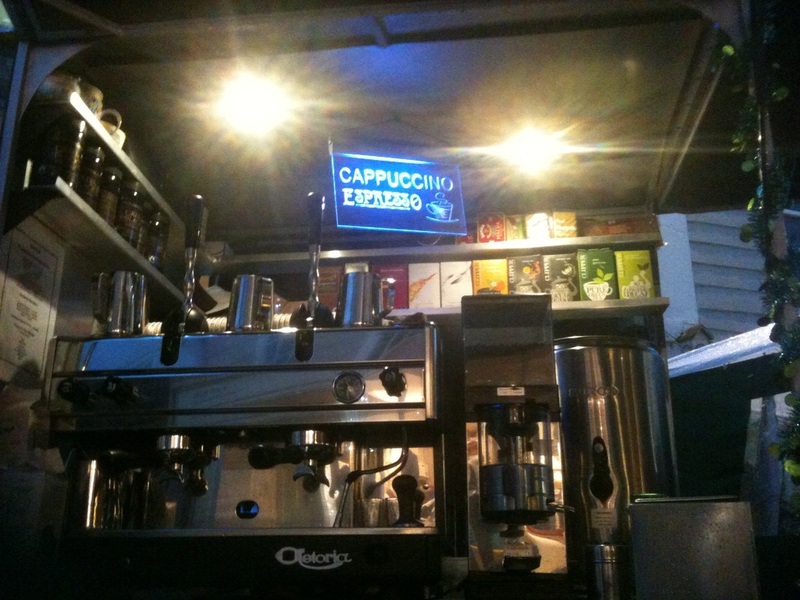 Come find us for a truly wonderful coffee! 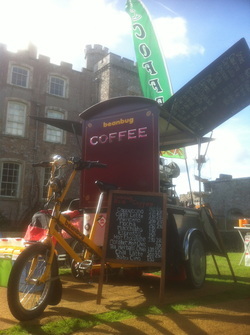 We recently enjoyed Powderham Food Festival in October for the new 2 day event. ​*Port of Dartmouth Royal Regatta, *Ashburton Food Festival and many more. 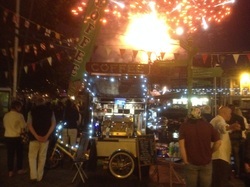 Please contact us if you want our amazing coffee & unique trike at your event. Beanbug serves Premium quality delicious organic & fair-trade espresso Coffees, Teas & Hot Chocolate at local markets & events and on the street in Totnes, South Devon. Beanbug is a coffee cart wih a difference! The coffee pod unit is built on the best tricycle design in the world (see links page). Our coffee tastes amazing and we take no shortcuts to make the best drinks possible! We're building a good reputation for our delicious coffee! *mobile catering in places others can't go!